Year 1947 (MCMXLVII) was a common year starting on Wednesday (link will display the full calendar) of the Gregorian calendar. January and February 1947 are remembered for the worst snowfalls in the UK in the 20th century, with extensive disruption of travel. Given the low car ownership this is mainly remembered in terms of the effects on the railway networks. British coal mines are nationalized. January 3 – Proceedings of the U.S. Congress are televised for the first time. January 15 – Elizabeth Short, an aspiring actress nicknamed the "Black Dahlia", is found brutally murdered in a vacant lot in Los Angeles. The case remains unsolved to this day. January 25 – A Philippine plane crashes in Hong Kong, with $5 million worth of gold and money. January 30–February 8 – A heavy blizzard in Canada buries towns from Winnipeg, Manitoba, to Calgary, Alberta. The lowest air temperature in North America (-63 degrees Celsius) is recorded in Snag, Yukon Territory. Percival Prattis becomes the first African-American news correspondent allowed in the United States House of Representatives and Senate press galleries. The Government of the United Kingdom announces the £25 million Tanganyika groundnut scheme for cultivation of peanuts in the Tanganyika Territory. February 6 – South Pacific Commission (SPC) founded. February 8 – A dance hall fire in Berlin, Germany, kills over 80 people. February 10 – In Paris, France, peace treaties are signed between the World War II Allies and Italy, Hungary, Romania, Bulgaria, and Finland. Italy cedes most of Istria to the Socialist Federal Republic of Yugoslavia. An explosion at the O'Connor Electro-Plating Company in Los Angeles, California, leaves 17 dead, 100 buildings damaged, and a 22-foot-deep (6.7 m) crater in the ground. U.S. Army Ordnance Corps Hermes project V-2 rocket Blossom I launched into space carrying plant material and fruitflies, the first animals to enter space. February 22 – Tom and Jerry cartoon Cat Fishin', is released. John C. Hennessy, Jr., brings the first Volkswagen Beetle to the United States. He purchased the 1946 VW from the U.S. Army Post Exchange in Frankfurt, Germany, while serving in the U.S. Army. The Beetle was shipped from Bremerhaven, arriving in New York this day. The state of Prussia officially ceases to exist. In Taiwan, civil disorder is put down with large loss of civilian lives. Wernher von Braun marries his first cousin, the 18-year-old Maria von Quirstorp. March 4 – Treaty of Dunkirk (coming into effect 8 September) signed between the United Kingdom and France providing for mutual assistance in the event of attack. March 6 – USS Newport News, the first completely air-conditioned warship, is launched in Newport News, Virginia. March 9 – Carrie Chapman Catt dies in New Rochelle. March 12 – The Truman Doctrine is proclaimed to help stem the spread of Communism. March 14 – The River Thames overruns its banks. March 19 – The 19th Academy Awards ceremony is held. The movie Best Years of Our Lives wins the Academy Award for Best Picture, along with several other Academy Awards. March 31 – The leaders of the Kurdish People's Republic of Mahabad, the second Kurdish state in the history of Iran, are hanged at the Chuwarchira Square in Mahabad after that country had been overrun by the Iranian army. Jackie Robinson, the first African American in modern Major League Baseball, signs a contract with the Brooklyn Dodgers. April 9 – Multiple tornadoes strike Texas, Oklahoma, and Kansas killing 181 people and injuring 970. April 15 – Jackie Robinson becomes the first African American to play modern Major League Baseball. April 16 – Texas City Disaster: the ammonium nitrate cargo of former Liberty ship SS Grandcamp explodes in Texas City, Texas, killing 552, injuring 3,000, causing 200 lost, and destroying 20 city blocks. April 18 – Royal Navy detonates 6,800 tons of explosives in an attempt to demolish the fortified island of Heligoland, Germany, thus creating one of the largest man-made non-nuclear explosions in history. April 26 – Academy-Award winning Tom and Jerry cartoon, The Cat Concerto, is released to theatres. May 1 – The Salvatore Giuliano Gang opens fire on a labor parade near Portella Della Ginestra, Sicily, killing 11 people and wounding 30. The Cold War begins: In an effort to fight the spread of Communism, President Harry S. Truman signs an Act of Congress that implements the Truman Doctrine. This Act grants $400 million in military and economic aid to Turkey and Greece. May 25 – An airliner of the Flugfelag Íslands crashes into a mountainside, killing 25 people. June 5 – U.S. Secretary of State George Marshall outlines the Marshall Plan for American reconstruction and relief aid to Europe. June 7 – The Royal Romanian Army founded, the-now most successful romanian football club, Steaua București, as A.S.A. București. June 10 – SAAB produces its first automobile. June 11–15 – First Llangollen International Musical Eisteddfod is held in Wales. June 15 – The Portuguese government orders 11 military officers and 19 university professors who were accused of revolutionary activity to resign. Seaman Harold Dahl claims to have seen six UFOs near Maury Island in Puget Sound, Washington. On the next morning, Dahl reports the first modern so-called "Men in Black" encounter. June 23 – The United States Senate follows the House of Representatives in overriding President Harry S. Truman's veto of the Taft-Hartley Act. June 24 – Kenneth Arnold makes the first widely-reported UFO sighting near Mount Rainier, Washington. July 7 – A supposedly downed extraterrestrial spacecraft is reportedly found in the Roswell UFO incident, near Roswell, New Mexico, which was written about by Stanton T. Friedman. July 10 – Princess Elizabeth announces her engagement to Lieutenant Philip Mountbatten. July 11 – The Exodus leaves France for Palestine, with 4,500 Jewish Holocaust survivor refugees on board. July 17 – The Indian passenger ship Ramdas is capsized by a cyclone at Mumbai, India, with 625 people killed. Following wide media and UNSCOP coverage, The Exodus is captured by British troops and refused entry into Palestine at the port of Haifa. President Harry S. Truman signs the Presidential Succession Act into law, which places the Speaker of the House and the President Pro Tempore of the Senate next in the line of succession after the Vice President. July 29 – After being shut down on November 9, 1946, for a refurbishment, the ENIAC computer, the world's first electronic digital computer, is turned back on again. It next remains in continuous operation until October 2, 1955. August 5 – The Netherlands stops all political actions in Indonesia. Thor Heyerdahl's balsa wood raft, the Kon-Tiki, smashes into the reef at Raroia in the Tuamotu Islands after a 101 day, 4,300 mile, voyage across the Eastern Pacific Ocean, proving that pre-historic peoples could hypothetically have traveled to the Central Pacific islands from South America. The Muslim majority region formed by the Partition of India gain independence from the British Empire and adopts the name Pakistan. While the transition is officially at midnight on this day, Pakistan celebrates its independence on August 14, compared with India on the 15th, because the Pakistan Standard Time is 30 minutes behind the standard time of India. The greater Indian subcontinent with a mixed population of Hindus, Muslims,Christians, Sikhs, Buddhists, Jains, Jews, etc. formed by the Partition of India gain independence from the British Empire and retains the name India. 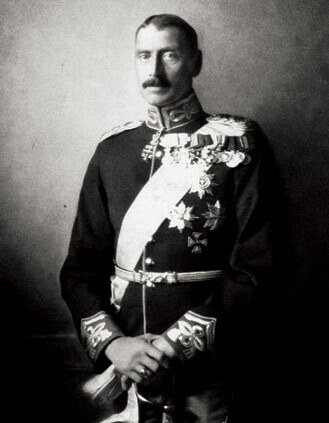 Louis Mountbatten becomes the first Governor General of India. Jawaharlal Nehru takes office as the first Prime Minister of India. August 16 – In Greece, General Markos Vafiadis takes over the government. August 27 – When the French government lowers the daily bread ration to 200 grams, causing riots in Verdun and in Le Mans. August 30 – A fire at a movie theater in Rueil, a suburb of Paris, France kills 87 people. August 31 – The communists seize power in Hungary. September 17–September 21 – The 1947 Fort Lauderdale Hurricane in southeastern Florida, and also in Alabama, Mississippi, and Louisiana, causes widespread damage and kills 51 people. National Security Act of 1947 becomes effective on this day creating the United States Air Force, National Security Council and the Central Intelligence Agency. War Department becomes the Department of the Army, a branch of the new Department of Defense. September 22 – Information Bureau of the Communist and Workers' Parties (Communist Information Bureau) ("Cominform") is founded. October 5 – President Harry S. Truman delivers the first televised White House address speaking on the world food crises. October 20 – A war begins in Kashmir, along the border between India and Pakistan, leading to the Indo-Pakistani War of 1947 in the following year. Also, Pakistan established diplomatic relations with the United States of America. October 24 – The first Azad Kashmir Government is established by the Freedom Fighters within Pakistan, headed by Sardar Muhammad Ibrahim Khan as its first President supported by the government of Pakistan. In Long Beach, California, the designer and airplane pilot Howard Hughes carries out the one and only flight of the Hughes H - 1 Hercules seaplane, the largest fixed-wing aircraft ever built and flown. This flight only lasted eight minutes. An earthquake in the Chilean Andes kills 233 people. November 6 – The program Meet the Press makes its television debut on the NBC-TV network in the United States. November 10 – The arrest of four steel workers in Marseille begins a French communist riot that also spreads to Paris. International Telecommunication Union becomes a specialized agency of the United Nations. Universal Postal Union (UPU) becomes a specialized agency of the United Nations (effective 1 July 1948). In Brussels, 15,000 people demonstrate against the relatively-short prison sentences of Belgian Nazi criminals. Great Britain began withdrawing its troops from Palestine. The Princess Elizabeth (later Elizabeth II), the daughter of George VI, marries The Duke of Edinburgh at Westminster Abbey in London, United Kingdom. Paul Ramadier resigns as the Prime Minister of France. He is succeeded by Robert Schuman, who calls 80,000 army reservists to quell rioting miners in France. November 25 – The Parliament of New Zealand ratifies the Statute of Westminster, and thus becomes independent of legislative control by the Parliament of the United Kingdom. French communist strikers derail the Paris-Tourcoing express train because of false rumors that it was transporting soldiers. 21 people are killed. December 4 – The French Interior Minister, Jules S. Moch, takes emergency measures against his country's rioters after six days of violent arguments in the National Assembly. December 6 – Arturo Toscanini conducts a concert performance of the first half of Giuseppe Verdi's opera Otello, which was based on William Shakespeare's play Othello, for a broadcast on NBC Radio. The second half of the opera is broadcast a week later. December 9 – French labor unions call off the general strike and re-commence negotiations with the French government. December 12 – The Iranian Royal Army takes back power in the Azerbaijan province. 21 December - 400,000 slaughtered during mass migration of Hindus and Muslims into the new states India and Pakistan. The first practical electronic transistor is demonstrated by Bardeen, Brattain, and Shockley of the United States. December 30 – King Michael of Romania abdicates. The Doomsday Clock of the Bulletin of the Atomic Scientists is introduced. Cambridge University begins to admit women as full students. Mikhail Kalashnikov's AK-47 assault rifle is accepted as the standard small arm of the Soviet military. In a cave in and around the Wadi Qumran (near the ruins of the ancient settlement of Khirbet Qumran, on the northwest shore of the Dead Sea), several tall pottery jars containing leather scrolls are discovered, which later become known as the Dead Sea scrolls. By the discovery of promethium in the products of nuclear fission, the last remaining gap of the periodic table is closed. The song Sgt. Pepper's Lonely Hearts Club Band mentions Sgt. Pepper teaching the band to play "20 years ago today". This would place the event somewhere between February 1 and June 1 of 1947. September 9 – Freddy Weller, American singer-songwriter, guitarist for the band Paul Revere & The Raiders. September 19 – Steve Bartlett, a U.S. Congressman and the former mayor of Dallas, Tex. Meat Loaf (Marvin Lee Aday), an American rock singer and actor. November 29 – Mirza Khazar, an eminent Azerbaijani author, political analyst, legendary anchorman, translator of the Bible into Azerbaijani language. ^ "Collection of weather statistics for the winter of 1947". http://www.winter1947.co.uk/. Retrieved 27 December 2010. ^ "collection of film clips of UK rail disruption in winter 1947". Archived from the original on 25 January 2011. http://www.bbc.co.uk/nationonfilm/topics/railways/background_conditions.shtml. Retrieved 27 December 2010. ^ "BBC newsreel, snow affecting railways 1947". http://www.bbc.co.uk/mediaselector/check/nationonfilm/00338?size=4x3&bgc=C0C0C0&nbram=1&bbram=1. Retrieved 28 December 2010. ^ Copies of the bill of sale as well as the shipping documents and a letter from the Port of New York confirming the arrival of the VW can be found in Hennessy’s book The Bride and the Beetle. ^ "Llangollen International Eisteddfod - How it Started". Llangollen International Musical Eisteddfod. http://www.llangollen.com/eist3.html. Retrieved 2012-05-08. This page uses content from the English language Wikipedia. The original content was at 1947. The list of authors can be seen in the page history. As with this Familypedia wiki, the content of Wikipedia is available under the Creative Commons License. 77 people were married in 1947. There were 0 military battles in 1947.